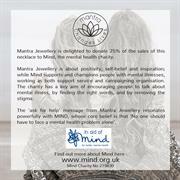 We are working with mental health charity, MIND, to help support and champion people living with mental illness. 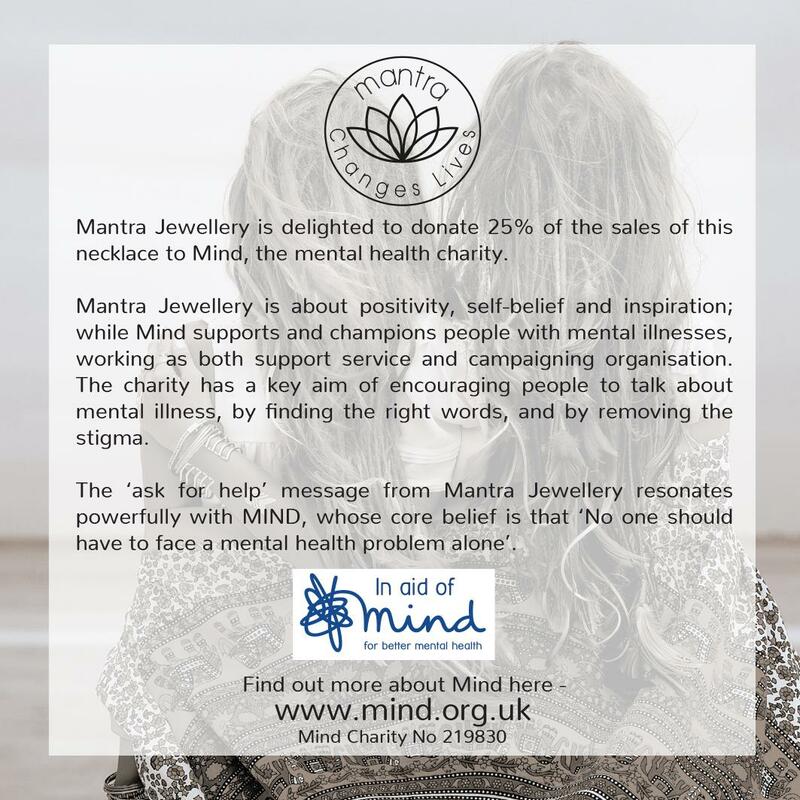 MIND has a key aim of encouraging people to talk more about mental illness. 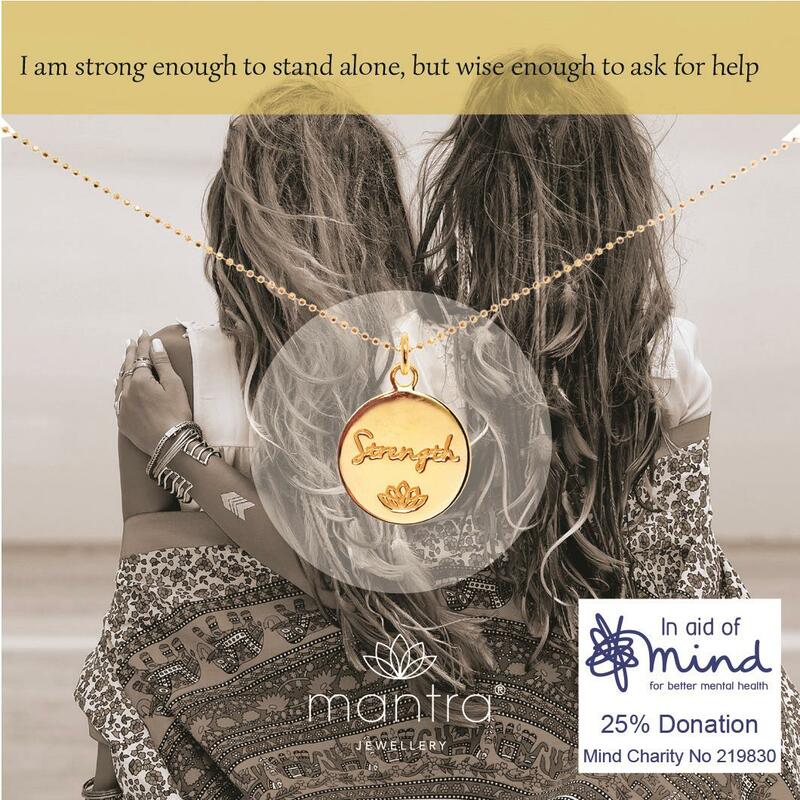 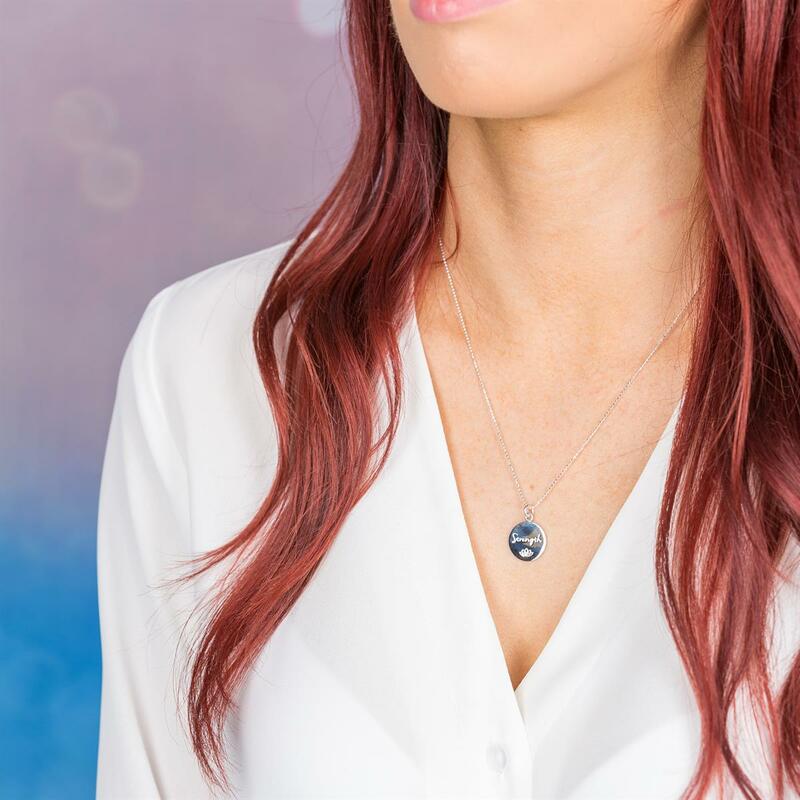 To support this amazing charity, we created a pendant with the empowering mantra, 'I am strong enough to stand alone, but wise enough to ask for help’. 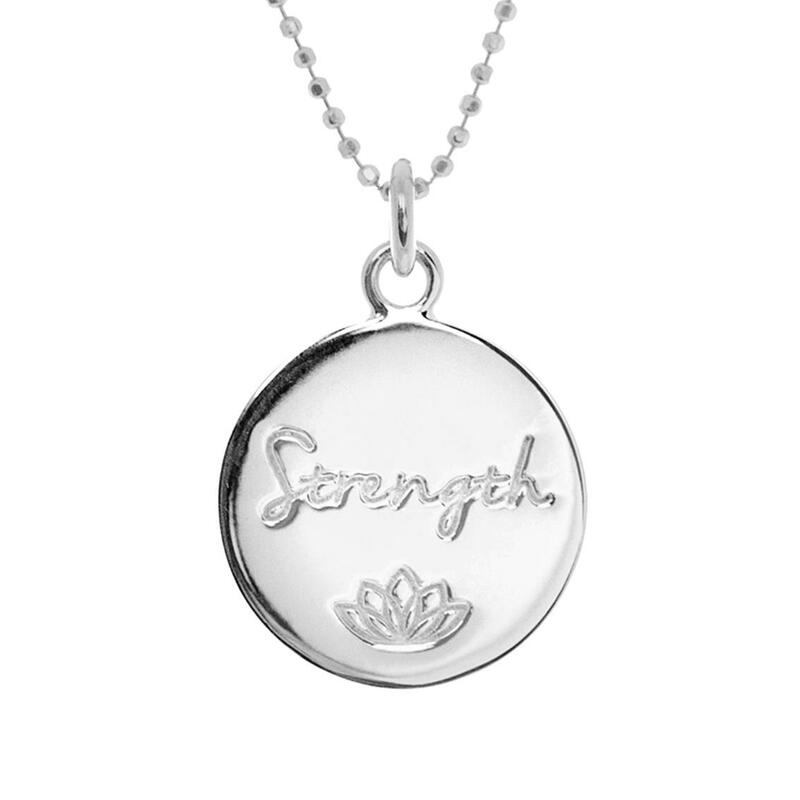 This is the perfect gift to demonstrate support for a loved one going through a difficult time, or simply to wish someone strength in life. 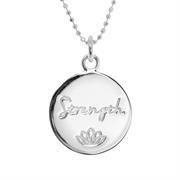 It celebrates their strength and independence, but also reminds them that asking for help when they need it is the right thing to do. 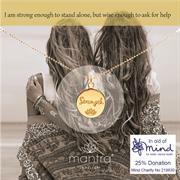 Buying this necklace also helps others, as we donate 25% of the selling price to MIND, the mental health charity. 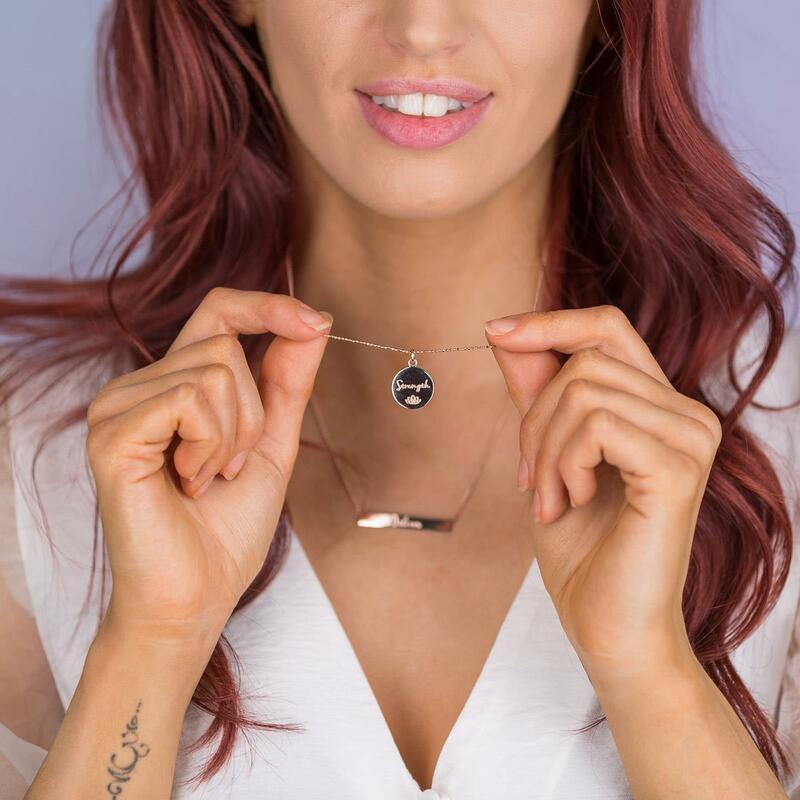 Mental illness affects 1 in 6 of the population, and MIND has a key aim of encouraging people to talk more about mental illness by finding the right words, and by removing the stigma. 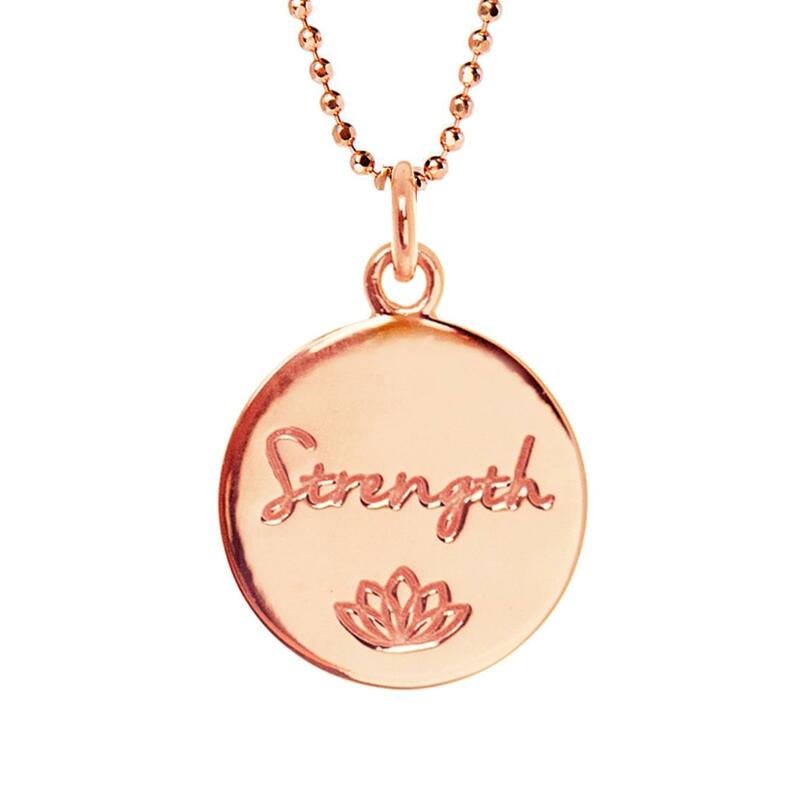 Carrying the word 'Strength' to represent the mantra, and featuring the iconic Mantra lotus, the disc is made from 925 Sterling Silver, and also comes plated in either 18 carat Gold or Rose Gold. 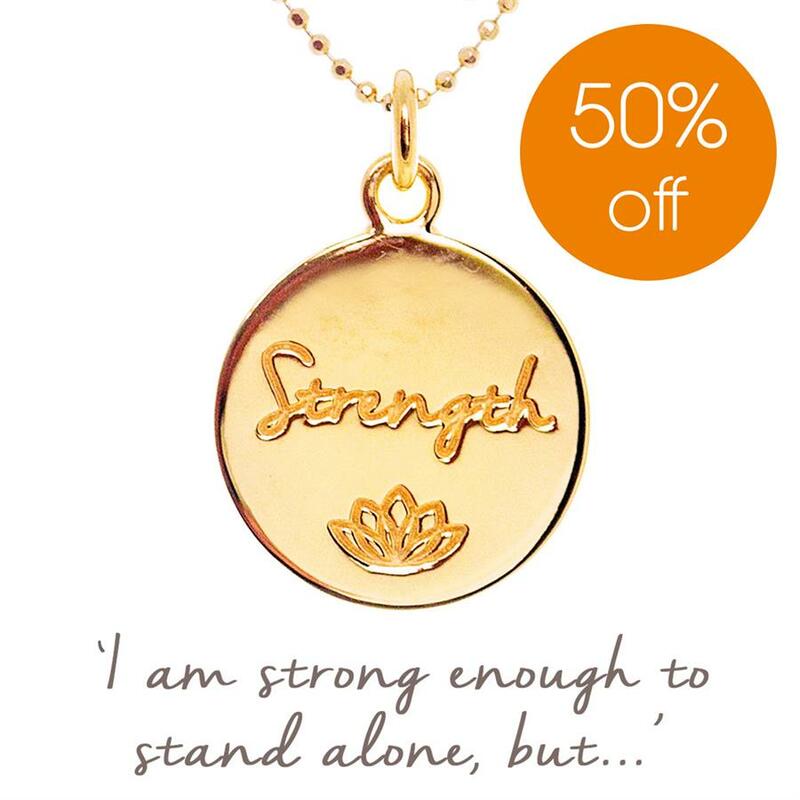 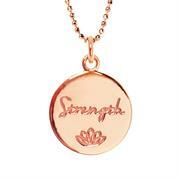 Wear your 'Strength' mantra to remind you that you are strong enough to stand up to challenges in life - but you know that strength also means asking for help when you need it.